Been deciding which watch to debut on my first thread and after days of indecision, I have settled on my RAN Droz. Fished it out of the Bay last year. Caused a bit of a stir on MWR when I did as I had purchased it before the auction concluded and one or maybe more of the bidders where also MWRines. There were also some skeptics as there are known but unseen examples around and nothing a potential buyer could compare it to. The seller had mentioned the last example sold some 14 years ago, whether there is any truth to that, who knows. Some mentioned that it was the first of its model to be sold in a very long time, in that regard it gives me some comfort and that I bought it much less then the BIN price, makes it easier to swallow. A lemon? Don't think so. It keeps excellent time. A franken? Hope not. Black dial with luminous hour makers and gold gilt lume filled hands. Push-in & screw down crown with bi-directional bezel and a heavy domed crystal. Looks to be a Ervin Piquerez S.A. (EPSA) made case. 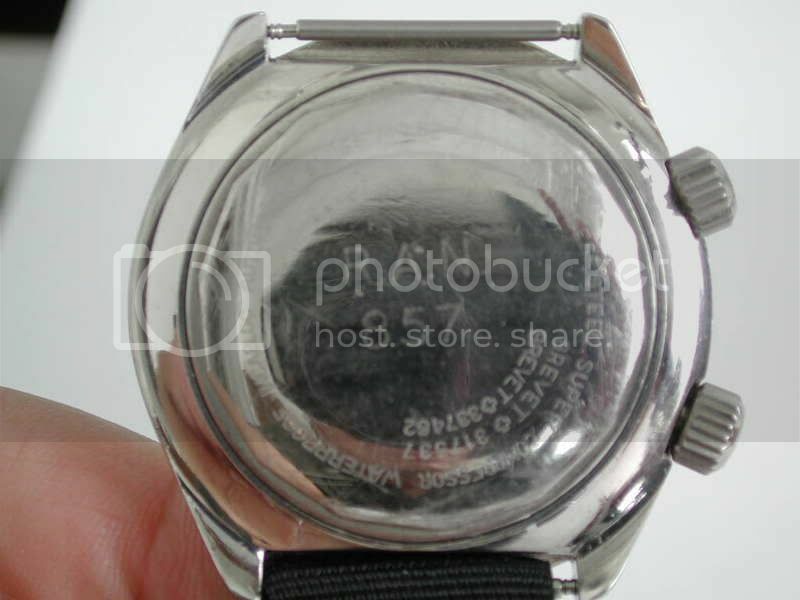 The familiar dive helmet logo is just visible on the case back. I have not as yet confirm if its a Compressor case. Most likely that it is but would get a better idea if I had a look inside the case back. I did however contact the RAN Heritage Collection. Where a Mr. Fred Haynes assisted with some of my queries. The abbreviation of H.O. stands for "Hydrographic Office" and it pre dates the NSN as M (Bremont125) has mentioned. I had hoped that there maybe records in existence but unfortunately they where all disposed of when the watches went out of service. The Droz where usually issued to Clearance Divers (CD) but from what Mr Haynes suspects that the Droz - referring to my example and its markings - were also issued to other branches. He also mentioned that items in service with the Hydrographic Office were also marked HS9 as mention by Jon (Super Moderator) in the third post of this thread. HS meaning "Hydrographic Service" I guess. Seeing that I couldn't get more info from the RAN Heritage Collections. I emailed a few x servicemen from the RAN CD teams regarding Droz watches. Got one response from Tony who mentioned that he was issued a Droz. Which version he couldn't quite recall but he did mention that it had a single crown, with large hourly markers on the dial and large markings on the bezel. From his description I assumed it was the latest Droz model. I emailed him a pic but he couldn't confirm. So that's as far as I got. If anyone has further info or if anything I have presented is incorrect please let me know and I will add/amend the post. Last edited by EZMone; 04-06-2010 at 10:21. That Droz is lovely. I've seen some of the other varieties, including the suer compressor (dual crown) but that's a very cool watch indeed! Pre-dates the NSNs I guess, and the "H" and "O" markings are very interesting. Shame it's so difficult to find more information about these pieces. Last edited by Noodlefish; 08-02-2010 at 21:40. Fascinating, Dan, great entrance! I remember the fuss made about it on MWR - you won't find that happening here - "All's fair etc". 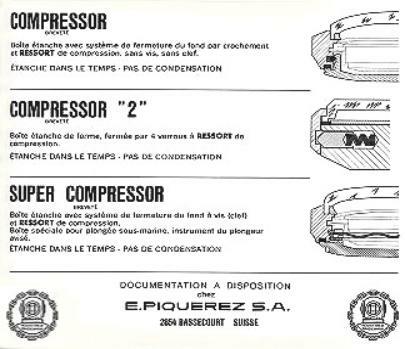 There is also a '66 Droz Super Compressor which just has R.A.N. and a three digit service number (126) on the back - no broadarrow - but in a very different font to yours. The later Droz in Konrad's book has R.A.N. 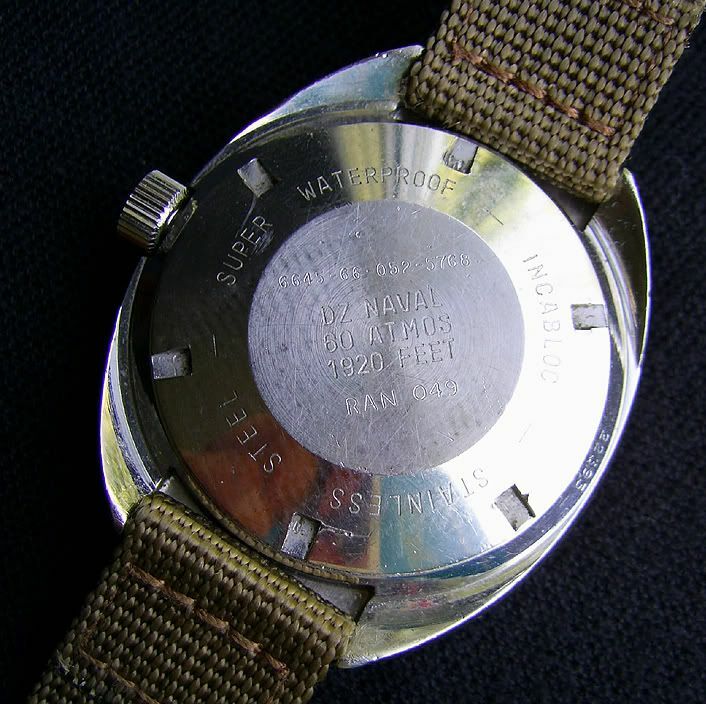 and 849 on the caseback, in slightly smaller engraving again, albeit very similar to the earlier 126 serial number watch, but with the markings placed differently. Looking at it positively, if your numbers were not genuine, surely any faker would have simply copied the engravings from a documented watch? Maybe Al' and Nalu can shed some more light on this? Last edited by StampeSV4; 08-02-2010 at 20:27. I have added more info to my initial post of this thread. Stellar post, Dan. Looks like you're going to be a real asset here. By all means invite over anyone else you know - we are recruiting - "Your forum needs you!". 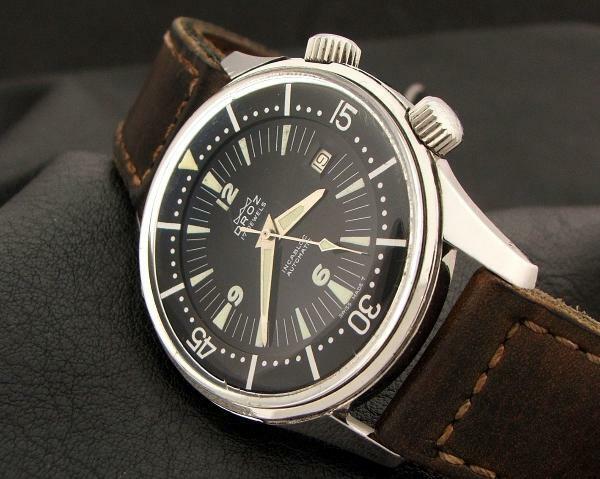 I was aware that the dual crown Super Compressor had been issued by the RAN but not your very early version nor the later cushion case - it always amazes me how "new" vintage military watches still turn up. It is these civilian watches procured for military use which pose the most problems for collectors - you really need to know your subject, which evidently you do. You seem to have carried out a great deal of research into these RAN issue Droz divers with first-hand enquiries for a change, rather than relying on hearsay and urban myths. I am certainly looking forward to your next post. What a great post, well done on research (and for getting your example). I can't help but notice that the date compressor (twin crown one) uses a different case than the non-date (note the lug separation, lug length and the cut-out for the crown at 2 on the the non-date), as well as having much less attractive hands. I wonder whether this is all original, I would have thought they'd have used one case variant? 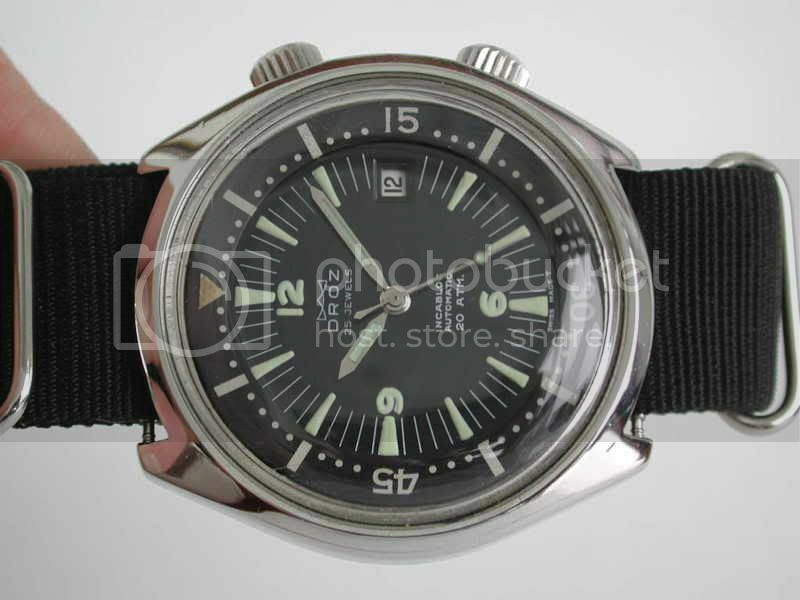 There is a civilian date version on scubawatch.org (pic borrowed) Case, dial & hands looks to be the same as the non-date RAN super compressor. The civi example has a case date of 1966. Maybe the RAN date version Super Compressor was a later model. 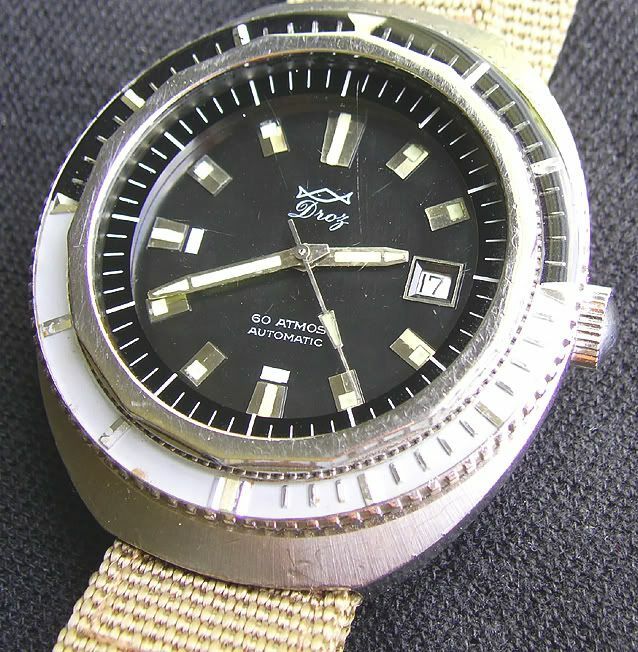 It also has additional markings on the dial, "20 ATM" above 6 o'clock and instead of "17 Jewels" its "25 Jewels"
A RAN Droz twin crown super compressor is currently available for sale online. Not that I can buy it, but I love looking at them!